New York City Museum of Complaint is a collection of 132 letters written to the Mayor of New York between 1751 and 1969. Selected from the municipal archives and presented chronologically, the letters address a range of issues from dead animals in the street to swindles, capitalism, corruption, civil rights, adventuresses, bad luck, broken hearts, noise and other people. T New York City Museum of Complaint is a collection of 132 letters written to the Mayor of New York between 1751 and 1969. 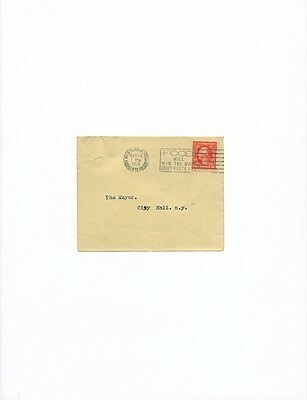 Selected from the municipal archives and presented chronologically, the letters address a range of issues from dead animals in the street to swindles, capitalism, corruption, civil rights, adventuresses, bad luck, broken hearts, noise and other people. These are communiqu�s of dissatisfaction over the course of a city's evolution. The core strength of this collection lies in its peculiar ability to capture the spirit of the city as defined by its critics and crusaders. New York City has long been perceived as a place where personal stances flourish. These civic documents are historical embodiments of the language, wit and energy that have forged the city's reputation. From the passionate defense of street musicians to dedicated battles with dry cleaners, police officers, pushcart peddlers and hooligans, a chorus emerges that articulates the challenges and inherent absurdity of metropolitan life. Matthew Bakkom was born in Minneapolis in 1968. Starting in the early 1990s, working as a visual artist in North America and Europe, he has participated in exhibitions at the Walker Art Center in Minneapolis, the Institute of Contemporary Art in Philadelphia and the Queens Museum of Art, New York. Bakkom has received awards of support from the Jerome Foundation, The Rema Hort Mann Foundation, the Lower Manhattan Cultural Council and the Mayor's Office of Cultural Affairs of the City of Paris. The investigation of civic archives often serves as the basis for his work.